The Zone Diet was developed by Dr. Barry Sears and presented in his first published book on the subject entitled, Enter The Zone, which was written with Bill Lawren and published in 1995 by Harper Collins. The diet is intended to balance your hormone and insulin levels while decreasing body fat and increasing mental and physical productivity. The basics of the diet include drastically limiting grains and processed foods while adhering to a prescribed calorie ratio of 40% carbohydrates, 30% protein, and 30% fat. The carbohydrates are obtained from eating fruits and vegetables, while the fat (ideally) is consumed from sources of monounsaturated fats such as almonds, avocados, and olive oil. The Zone Dieter calculates his or her percentages of lean body mass and fat mass, then combines this body mass index with their activity level to obtain their protein prescription. For example, for my body mass index and activity level, I should eat 13 blocks of protein per day. I would divide the daily 13 blocks of protein (combined with their attendant blocks of carbs and fat) into a series of 3 or 4 block meals and 2 block snacks no more than five hours apart. It is also recommended that you drink at least eight ounces of water with each meal, and drink mainly water throughout the day. High-glycemic index foods, such as rice, corn, and fruit juices are kept to a minimum. Combining these concepts with the formula of protein, carb, and fat blocks for your body mass results in a Zone diet. Eating this way is said to put you in the zone nutritionally speaking. It is quite easy to accomplish once you get used to the food blocks and calculations needed to arrive at a Zone favorable meal. In the one month I have been practicing the Zone Diet, I have lost seven pounds, one inch from my waist, and I sleep through the night for the first time in years. The diet is fun, easy, and I feel like I have control over what I eat. I also walk one hour per day. The protein prescription gives you a baseline to build Zone favorable meals using the 40/30/30 percent ratio of carbs/protein/fat. Maintaining this ratio of macronutrients is done by calculating food sources into Zone blocks. The recipes listed here each conform to the Zone Diet ratios of 40% carbohydrates, 30% protein, and 30% fat. Preparation and pre-measuring are key for initial success on the Zone Diet. Preparation and pre-measuring food items into blocks is key when mastering the Zone Diet. 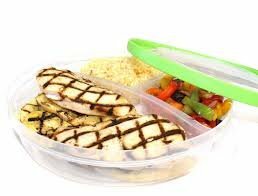 I found that when I have pre-measured and organized my food into blocks of protein and carbs that building Zone favorable meals is faster and easier. 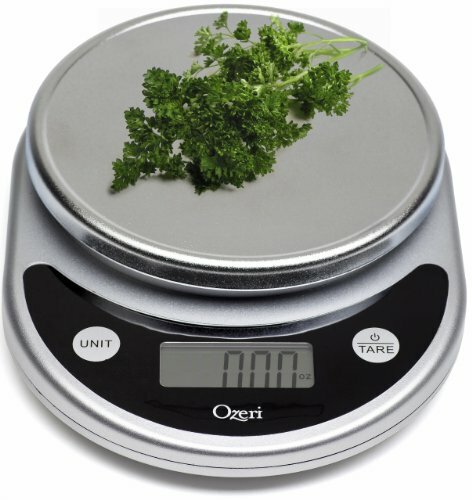 You will need a small food scale and at least one good measuring cup. Two measuring cups is better since you may often be measuring wet and dry ingredients for one meal. Once you get the hang of what three blocks of chicken salad looks like (for instance) you can breeze through assembling a meal quickly. However, in the beginning, you will benefit from having a few things ready to go in your refrigerator. Also be ready to buy tons of delicious fresh fruits and vegetables. Since I have started the Zone Diet, fruits and veggies around my house never have the chance to go bad. In addition to being a healthful way of eating for anyone, the Zone Diet is also popular with people who practice a crossFit exercise regime. CrossFit is a fitness program centered on nutrition, wellness, and sound exercise. CrossFit has combined a common sense approach with real-world results to help it become a worldwide phenomenon. CrossFit has created an alternative for many people between the skinny-minnie crash diets and the pump-you-up body building camps. The Zone Diet can be enjoyed whether you are a CrossFit athlete or not. A Zone home will always have a full fruit bowl. A digital food scale with "tare" function like this one makes measuring food blocks easy and preparing Zone meals quick and accurate. This scale has over 2,900 reviews and is rated at 4.5 out of 5 stars. Rinse, de-core, and slice apple and clean strawberries. Top apple slices with almond butter. Fry diced Canadian bacon in olive oil over medium heat until lightly browned. Scramble egg whites into pan. Season with cayenne pepper and sea salt to taste. Serve scrambled egg whites and Canadian bacon with fruit and enjoy this filling 2 block breakfast. Rinse strawberries and blueberries then drain. Fry diced Canadian bacon in olive oil sprayed pan over medium heat until lightly browned. Season with pepper and sea salt to taste. Serve scrambled egg whites and Canadian bacon, almonds and fruit. This is a fast and easy 2 block breakfast. Enter The Zone is the introductory book on The Zone Diet. It covers the basic ideas and calculations for the diet and explains how the research led to discoveries that became the Zone Diet program. Rinse strawberries. Rinse, slice, and de-core apple. Fry diced smoked turkey in olive oil over medium heat until lightly browned. Season with dill and sea salt to taste. Serve dill scrambled egg whites and smoked turkey with fruit and enjoy this delicious and unique 2 block breakfast. Slice orange and arrange in a circle on plate. Add cocoa almonds on the side. This is a light but yummy lunch for summer, when fresh oranges are available. 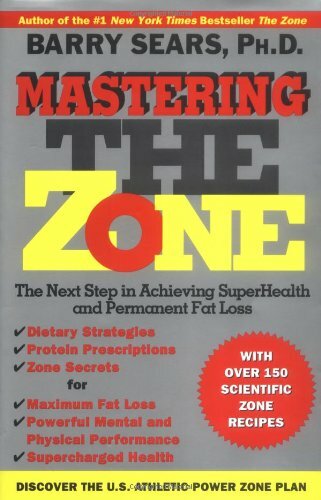 Mastering The Zone is Dr. Barry Sears's second Zone Diet book. It includes over 150 recipes and many say that this book explains the material in the best way. Slice apple and top with almond or peanut butter. Prepare chicken salad by mixing cooked chicken, diced onion, mayonnaise, pepper, and sea salt. Stir to combine well. Add balsamic vinegar to black beans and heat in microwave for 30 to 45 seconds (depending on oven strength). The balsamic vinegar adds a bright, tart flavor to the black beans, making this a delicious and satisfying two block Zone lunch. Rinse and chop strawberries. Tip: add strawberries to measuring cup as you chop each one to cut up the exact amount. Add strawberries, blueberries, cottage cheese, oatmeal. and cocoa almonds to a bowl. Toss lightly and enjoy. This is one of my favorite zone delights. It can be eaten as breakfast or lunch. As you can see in the photograph, I went a little crazy with the cocoa almonds, but hey, you gotta live. This is just as good with 9 almonds and I usually make it that way. This is probably the meal that made me love and stick with the Zone Diet in the beginning. I still love making it. It is rocking good! Whisk mayonnaise, olive oil, dijon mustard, balsamic vinegar, and Italian seasoning in a small bowl to create salad dressing. Add dressing to remaining chopped ingredients and toss lightly. This 3 block Zone salad is awesome because it has all of the Zone-favorable combinations in one bowl. It is great for lunch or dinner. Marinate pork chop in balsamic vinegar for thirty minutes in a zip-closure plastic bag. Sauté marinated pork chop in a small dash of olive oil. Add garlic powder, salt, and pepper to taste. Serve with sliced apples, heated black beans, cubed melon, and avocado. Combine fruit, yogurt, and almonds in a bowl and enjoy this 2 block Zone snack. Serve blueberries, yogurt, and almonds on a plate for an easy filling 2 block Zone snack. This Bento Style divided plastic plate with lid makes eating in the Zone easy when you are on the move. Prepare tuna salad by draining tuna well and mixing with mayonnaise. Package tuna salad along with fruit and nuts in a divided plastic to-go plate with lid and head out. Be sure to keep food cool in a cooler or refrigerator until eaten. This 3 compartment Bento style container makes it a breeze to prepare, store, and take Zone meals with you on the go. Slice apple and top with almond butter. Prepare chicken salad by mixing cooked chicken, mayonnaise, pepper, and sea salt to taste. Stir to combine well. Add Chicken salad and apples with almond butter to your to-go container. Add drained kidney beans to one side, then sprinkle with hot sauce to taste. Chilled kidney beans are delicious, and adding hot sauce helps this to-go lunch pack a spicy surprise. I took this fishing out on the boat and loved it. 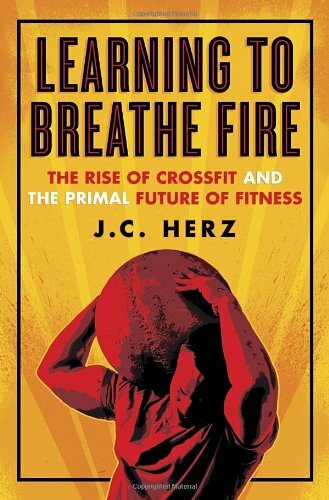 This highly rated book explores the evolution and underground phenomenon of the CrossFit movement. The Zone Diet integrates well with the CrossFit lifestyle. In fact, much of the information about the Zone Diet can be found on CrossFit information outlets. Saute pork chunks in olive oil over medium heat until done and browned. Add egg whites and scramble. Add salsa and stir well. Serve with fruit and you will love this satisfying 3 block Zone meal for breakfast or lunch. Mix black beans and cumin powder to taste and heat in microwave. Serve with strawberries, cashews, and cottage cheese. This is a fast and easy three block Zone lunch that will fill you up and, like all of the recipes in this article, will keep you in the Zone. In conclusion, the Zone Diet created by Dr. Barry Sears is designed to balance hormones and insulin levels. Doing so is said to decrease body fat percentages and increases energy and mental focus. The Zone Diet books explain how to calculate your body mass index, percentages of body fat, and your Zone protein prescription. Knowing the amount of protein you require in a day allows you to calculate the attendant amounts of carbohydrates and fat. Zone favorable meals consist of calorie ratios that equal 40% carbohydrates, 30% protein, and 30% fat. The diet breaks these macronutrients into blocks. Seven grams of protein equals one protein block, nine grams of carbs equals one carb block, and one and one half grams of fat equals one fat block. A zone meal or snack consists of equivalent blocks of each macronutrient. Each of the recipes in this article conform to the basic calorie ratios of 40% carbohydrates, 30% protein, and 30% fat that are required to keep you in the Zone. Use them to build Zone favorable meals and snacks so you can enjoy this healthful way of eating. thank you Shaddymak, I love The Zone Diet. 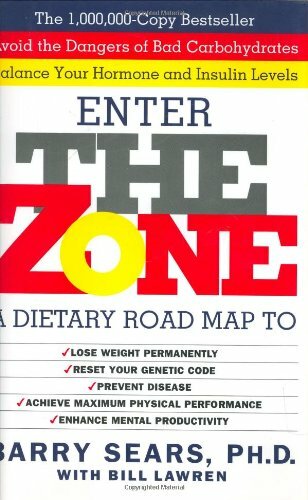 I have never been a "diet" type of person, but a friend showed me the Enter The Zone book and It really works. thanks for reading. --Rock On!